The Tennessee governor’s budget will subsidize students’ college tuition with cuts to college workers’ benefits. You wouldn’t think folks at the University of Tennessee would have much to protest about: the state has been hailed as a model for public higher education reform. Governor Bill Haslam’s celebrated plan for tuition-free community college statewide has become a national model for the White House’s much-hyped community-college-for-all proposal, and the governor’s latest budget proposes a $1.5 million expansion of the tuition break to older adults attending two-year programs, along with extra grants to reward schools for academic performance. But the protests are coming from one group on campus that’s more concerned with the payroll than with the dean’s list. The workers who make the university system run worry that while “college access” is broadening, their economic security may continue to shrink. The budget also proposes so-called “flexibility” for the state to offer current workers a more limited defined-contribution retirement health plan, instead of the traditional, typically more stable, defined-benefit scheme. The state may also seek authority to tweak the healthcare subsidy formulas for active employees. The United Campus Workers-Communications Workers of America Local 3865 union (UCW) is galled that the cutbacks have been proposed amid the governor’s boasts of making higher education affordable for all. Will their kids get free tuition while parents pay more for basic healthcare? Doubling the irony is that the target population of the new expansion of Tennessee Promise—the new funds are aimed at adult learners with a few college credits already—are perhaps the type of folks who might work a campus custodial job and take classes on the side at night: will they see the new tuition boost offset by shrinking benefits, or have to forgo community college courses to take on a second job? we are struggling to understand how Gov. Haslam can put money into such a plan, but completely ignore the campus workers’ pleas for better working conditions and higher wages. His plan is to supposedly help traditionally marginalized, working class students to get a higher education degree…but what happens to those students when they graduate? Not to mention, what about the people that are already in the workforce? 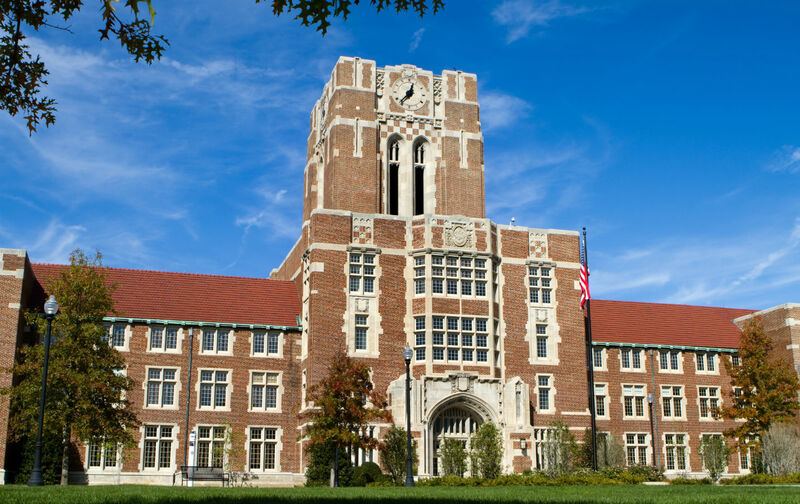 There are plenty of caveats with Haslam’s college-for-all initiative as well: the tuition-free plan actually excludes students who don’t meet certain academic standards and ultimately doesn’t subsidize the poor that much, since it covers only tuition (a relatively small portion of total college costs, which was actually already covered by federal Pell Grants for the typical lowest-income students). UT students also worry that while community college students get a break, those attending costlier four-year institutions (not included in the Tennessee Promise initiative) might see their costs rise, given the history of eroding higher education budgets: according to the Center on Budget and Policy Priorities, Tennessee cut higher education spending per student by nearly 22 percent between fiscal years 2008 and 2014, while average tuition at four-year public colleges has jumped by about $2000. And with the overarching trend toward faculties becoming increasingly dependent on precarious adjunct professors, Tennessee’s academic workers echo a nationwide call for fair pay and labor protections for all instructors. The bottom might be about to slip further for academic labor: at the same time the Governor unveiled his budget, the UT Board of Trustees announced plans for cost-cutting through potential revision of tenure policies, along with what it calls “realignment and consolidation” of “low-performing programs.” While these plans have received less political fanfare than Haslam’s celebrated zero-tuition plan, the trend of undermining job security for academics and downsizing programs on the basis of “performance” suggests that the expansion in college “access” doesn’t necessarily mean expanding what schools offer. With the current trend, we can expect continuing poverty wages and an increase in temporary, benefit-free jobs such as adjuncts and outsourced custodians and other support staff. … Our state needs living-wage jobs, high-quality public education, affordable health care and respect for our democratic rights to vote, organize and exercise our constitutional freedoms. Our working conditions are our students’ learning conditions. Tennessee hopes that cutting tuition for college students will bring long-term prosperity to the state. Despite admirable intentions, however, this meritocratic vision might blot out other economic realities if the workers responsible for carrying out the Tennessee Promise get hit with a raw deal.